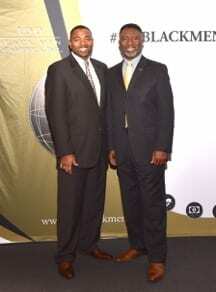 Jax Native Becomes New CEO of 100 Black men of America, Inc. – 100 Black Men of America, Inc.
100 Black Men of Jacksonville, Inc.
Atlanta, GA – The 100 Black Men of America, Inc. (100)has hired John E. Armstrong as the organization’s new President and CEO. Armstrong officially took the helm of the 100 on Monday, January 14, and was celebrated by members, staff, family and supporters during a welcome reception hosted by the organization’s Board of Directors. Armstrong is a native of Jacksonville, Florida where he attended Jean Ribault High School. After graduation, Armstrong attended Morehouse College and received a Bachelor of Arts in Education degree. He holds an MBA with a concentration in non-profit management from Springfield College.